Amazingly comfortable and useful in a wide variety of activities. 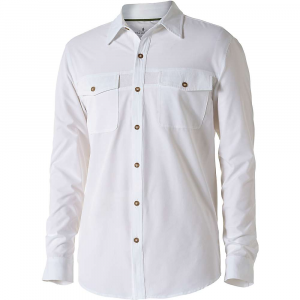 The Diablo Short Sleeve Shirt will perform well and keep you looking sharp! Made in China—would prefer U.S. but I was running out of Cons. I received this shirt, along with several other items, as a prize for being Trailspace's “Reviewer of the Month”. Keep in mind that these are close measurements, not exact. I have a thin build. I was excited to receive this shirt along with a pair of shorts from Royal Robbins when I was the “Reviewer of the Month” on Trailspace last month. I have worn this shirt on several different occasions and in different weather conditions. I wore it with the shorts that I also received as a gift and mostly wore it while running errands in town or messing around the house on the weekends. This shirt is advertised as a hiking shirt. I did take it on a small day hike with a small pack. But honestly, I like it too much to risk getting it dirty on the trail. So I wear it in town. 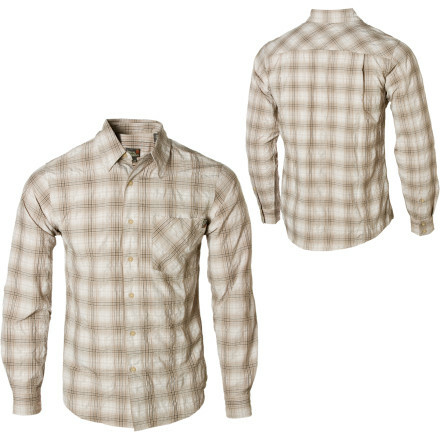 This shirt uses what Royal Robbins refers to as its “Diablo Blend" of fabric. 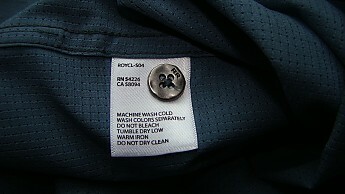 According to the manufacturers website it is a 50/50 blend of polyester and Sorona Fiber. Sorona Fiber is a renewably sourced fiber that has loads of benefits. Wrinkle-resistance, quick drying and softness to name a few. 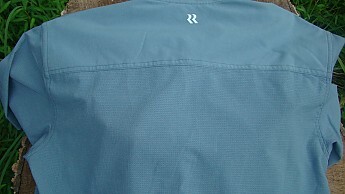 The front and the area on the shoulders uses the normal “Diablo Blend" of fiber while the side panels, sleeves, and the rest of the back use the “Diablo Ventilation Blend". Perforated ventilation fabric that offers quick drying, breathability, and keeps you cool. 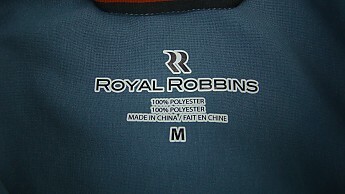 The label on the inside does say 100% Polyester. The stitching on this shirt is probably some of the best I have seen. Even when turned inside-out the stitches look amazing. Clean, tight and secure. The thread is the same color as the shirt which gives it a great look. The medium size that I have fits me perfectly. I usually button 6 of the 7 buttons leaving the one at the top open. I do not wear it tucked in but would not hesitate to. The shirt allows me free movement without feeling constricted or confined. It is not tight in any areas and kind of fits me a bit loose. I feel the medium was the best fit for me. 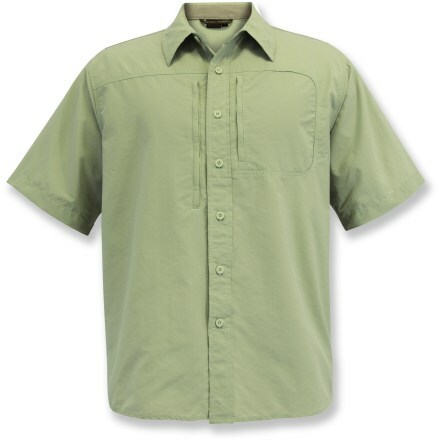 Zip-secured chest pocket – This pocket is a great feature for this shirt. It also has a small pen holding pocket as well. I personally do not have a need for this because I avoid having things in my pockets. Would be a great place to hold small items if you were wearing bottoms that had no pockets. 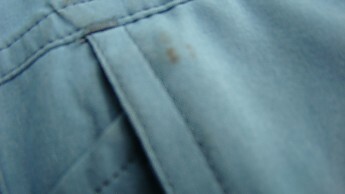 I have included a photo below of this pocket with pen holder. 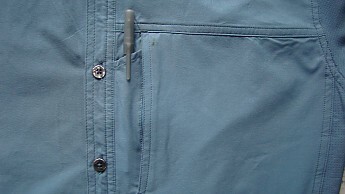 The zipper is covered by the fabric. When closed it is at the top closer to your head. 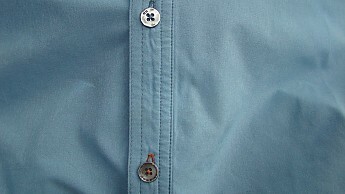 Now, my shirt is showing a small black stain where the metal of the zipper rests. 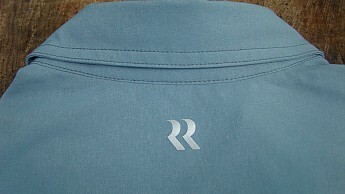 It can be seen on the outside of the shirt through the material that covers the zipper. I have tried to wash this out but it still remains. 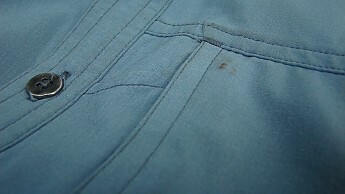 I am not sure if the metal of the zipper is causing this but that is what it looks like to me. Not real noticeable but it does bother me a little. Really the only negative thing I have to say. 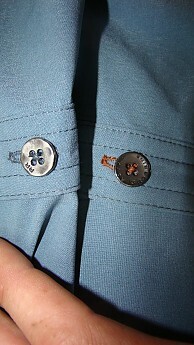 Contrast bottom buttonhole – The very bottom button hole on the shirt has a red/orange trim and the bottom button is a little different than the rest. I assume this make it easier to line up the bottom and make buttoning easier. I myself have had no trouble with this since I was 8. It is a nice feature but I don’t need it. 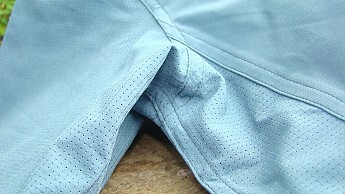 Perforated ventilation fabric- The Sleeves, sides, and most of the back have the “Diablo Ventilation Blend” fabric that assists with fast drying and heat displacement. I do like this feature a lot. I had it out on some really hot and humid days and it did help to keep me drier for a longer time. Quick Drying- When out in the heat and not sweating….yes it does dry fast. Also had a few times in the morning when the sink water ended up making a small spot or two. Those also dried quickly. 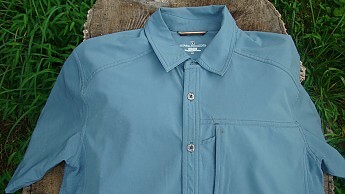 Wrinkle Resistant- I fold this shirt and keep it in a drawer. I know that I can pull it out and throw it on without having to iron it. I like that. 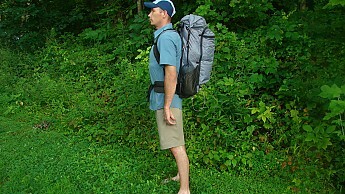 Would be good for a pack or stuff sack! 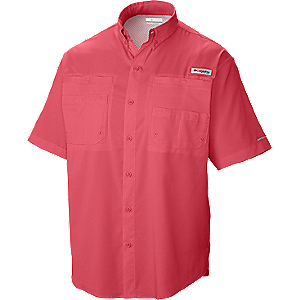 Ultraviolet Protection- This fabric offers UPF 20+. Would make a good shirt for all activities outdoors. Fishing, boating, camping, hiking, you name it! Reflective Trim Details- These little reflective logos help keep you safe while not standing out during the day. They look and work great. 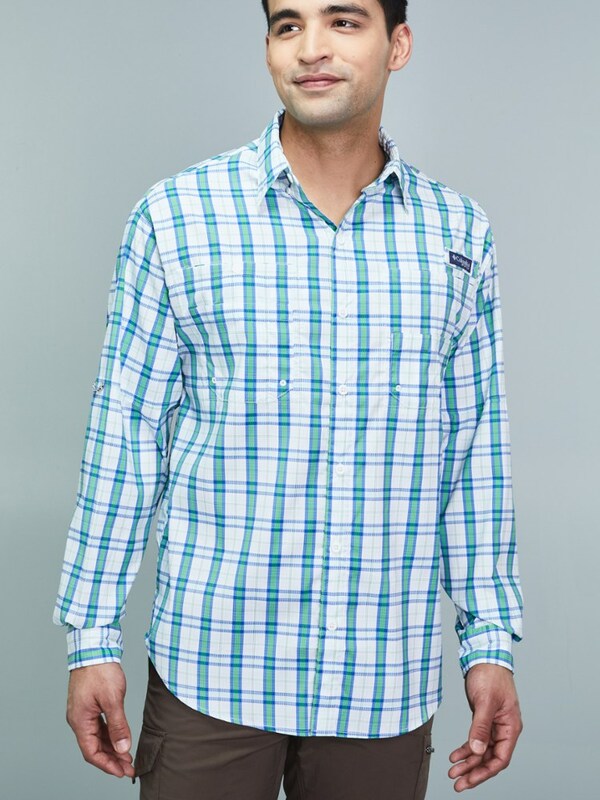 There are a lot of other great features about this shirt and you should check out the manufacturer’s website to do your own research as well. I really like this shirt. The feel of it is probably one of the things I like the most. The fabric is soft but it still feels strong. The fit is great and it wears comfortably. 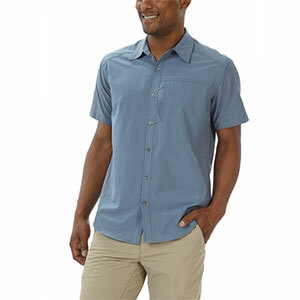 I would recommend anyone to try this Royal Robbins Diablo Short Sleeve. I hope that my review could be helpful! 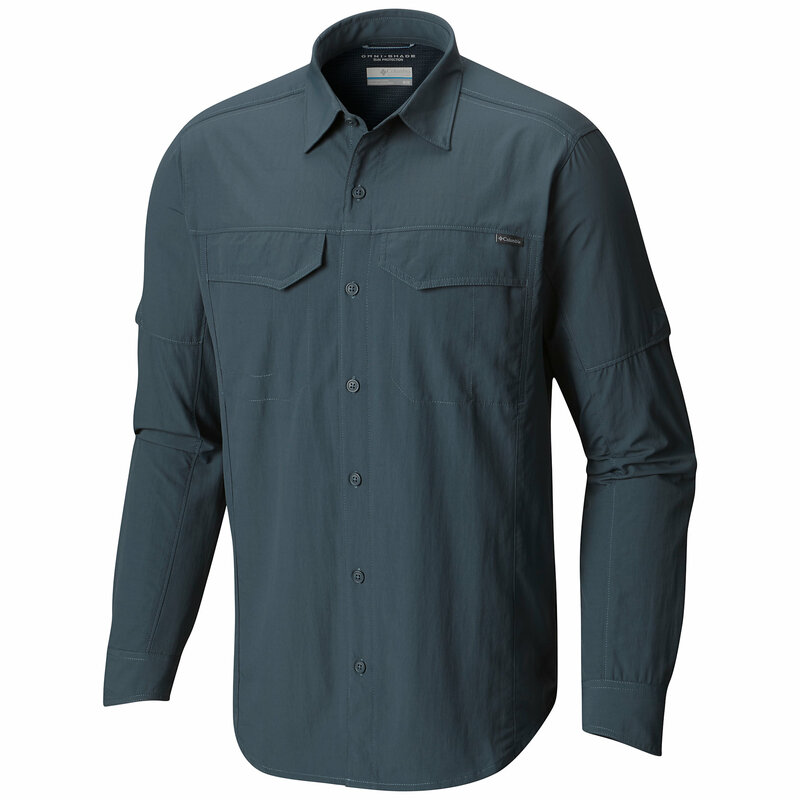 The Royal Robbins Diablo Short Sleeve Shirt is not available from the stores we monitor. It was last seen October 24, 2017	at CampSaver.com.